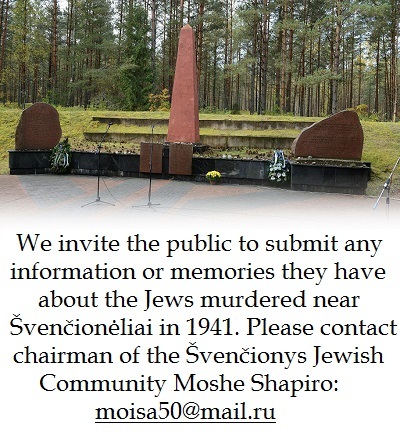 The following is an official letter sent by the Lithuanian Jewish Community to concerned government agencies. 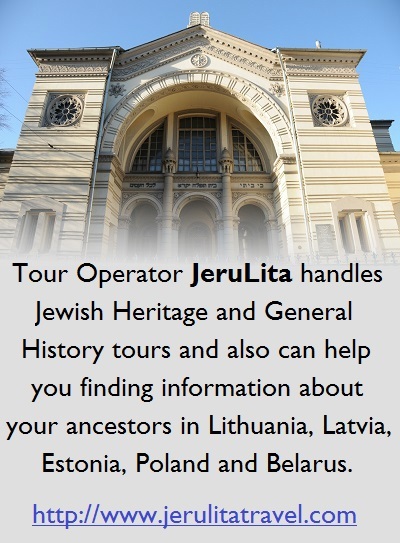 As public interest has grown recently in the history and cultural legacy of Lithuanian Jews (Litvaks) and specifically regarding artifacts uncovered at the site of the Great Synagogue in Vilnius, we feel it our duty to again present our view, that of the Lithuanian Jewish Community, regarding the issue of the conservation of surviving parts and the possible reconstruction of the Great Synagogue, a building with extraordinary significance to the Lithuanian and the global Jewish community. As we have said before many times, we support all meaningful initiatives to preserve, protect and commemorate the legacy and heritage of the Jews of Lithuania, but we do not support unreasonable projects to rebuild non-existing buildings which are carried out in the name of Jews. It seems that is what we are facing again in the idea developing over many years by certain government institutions and possibly including hidden business structures to rebuild the Great Synagogue complex in Vilnius. In 2015 the municipal government enterprise Vilniaus Planas was commissioned by the municipality’s Urban Development Department to prepare draft construction proposals for a memorial to the Great Synagogue under pre-project proposals submitted by the architect Tzila Zak. The terms of reference of the planning task itself revealed the client’s attitude towards the rebuilding of the Great Synagogue as an attractve real estate development project: the primary task presented to planners was to submit a list of the buildings proposed for rebuilding, to name the rooms and premises slated for reconstruction and to calculate floor space. Several other “preparatory” works testify to the seriousness of the plans. Under directive No. 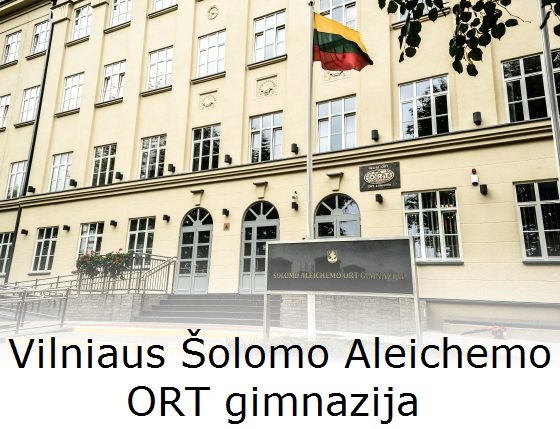 30-1394 by the administrative director of the municipality of the city of Vilnius dated May 30, 2014, and titled “On the approval of the plan for the parcel of land at Vokiečių street No. 13a as an official planning document,” a parcel of land comprising 5,217 square meters is defined next to the building, including a 432 square-meter parcel to serve as temporary access road “until the project to reconstruct the synagogue is implemented.” Another matter which possibly demonstrates there are real estate development interests at work at and around the Great Synagogue site is special management plan for the Vilnius Old Town currently under preparation (the first draft version of the plan was released in 2015 but that document remains unapproved and is still being altered according to input from the public and various organizations, including from the Lithuanian Jewish Community). This plan allows for a maximum building height of 2 to 5 storeys plus attic space and a construction density of 80 to 100% at land parcel No. 269, the site of the Great Synagogue where a primary school now operates. If the plan were to be approved, it would open the door to construction on an even greater scale than that prescribed in the “maximum” option in plans proposed for the reconstruction of the Great Synagogue complex. From another perspective, the reconstruction of the Great Synagogue complex is not the problem. The problem is that the project as formulated now would incur losses to the state and is unnecessary as far as Lithuanian Jews are concerned. There is one working synagogue in Vilnius currently whose preservation, maintenance and operations cost significant amounts. Furthermore, the LJC is paying for the protection and restoration of another synagogue in Vilnius located at Gėlių street No. 4 [Zavl shul]. Beyond that, there are several dozen more synagogues in Lithuania, most of which are on the verge of collapse. 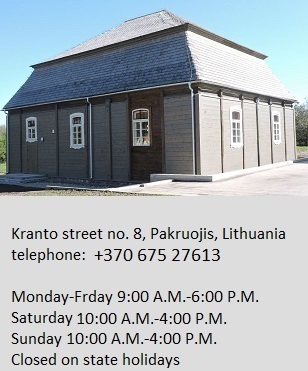 Finally, the Lithuanian Jewish Community itself is housed (under a free lease agreement) in a building belonging to the state at Pylimo street no. 4 which is in serious need of repair, with a leaking roof and a wholly ineffective heating system. The aforementioned project proposals entail the reconstruction of a number of non-extant (above ground) buildings whose uses and functions remain quite vague: “information center,” “Gaon museum,” “Jewish art gallery,” “restaurant” and so on. We would like to remind you that the Jewish Culture and Information Center is located less than 400 meters away at Mėsinių street No. 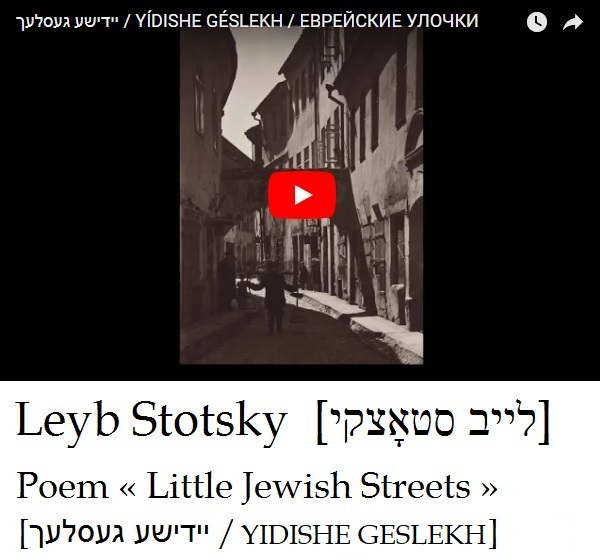 3a/5, while the Vilna Gaon State Jewish Museum has four exhibition branches in Vilnius, including the “Future Center of Litvak Culture and Art” planned for Pylimo street no. 4 and the former ghetto library at Žemaitijos street No. 4, which are also in dire need of repair. Until June of this year the Lithuanian Jewish Community had never been made acquainted officially with any of these pre-project and project proposals, no one had asked us for our opinion of the idea ever, never invited us to discuss it or to cooperate in its implementation, so there could never have been any approval by the Community for any of these different plans. It is unfortunate that the noble idea of commemorating the Great Synagogue by preserving and presenting to the public that which has survived has turned into a kind of business plan under which the synagogue building itself would not in fact be restored, and instead they would seek to create several thousand square meters of real estate. 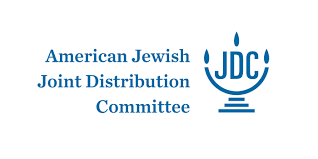 The Lithuanian Jewish Community does not approve of these sorts of plans and definitely will not be involved in them. If the state is satisfied by these plans, using aspirations for the reconstruction of the Great Synagogue as a cover story to reconstruct buildings of questionable value, function and use, it is not within the power of the Lithuanian Jewish Community to put a stop to it, but if that is the case, we do demand that the project not be connected in any way with Jews, and that the word “synagogue” not be used in its title. And in the end we should think the public have to be told who the real authors of this idea are, what their real intentions are, and why and in what manner the architect Tzila Zak was chosen for these pre-project and project proposals, who is paying for the work by the architects and planners, and how much money from the national and Vilnius municipal budgets has been spent on this so far. Presentations of the idea emphasize that the architect Tzila Zak won a competition or tender which was supposedly held by the Ministry of Culture and the Lithuanian Jewish Community, or people associated with it, in 1989. If that were true, then the Community should have been involved for the last 27 years in all stages of the development of the project. But, as noted above, we were only officially acquainted for the first time with the architects’ proposals in June of this year after we demanded it. Furthermore, to the best of our knowledge, neither the leaders of the Community then, nor later leaders ever participated in organizing these sorts of tenders or competitions, nor did they ever express any support for this project, contrary to the claims made in presentations of the project. That the Community was never involved in this project is also shown on the webpage of former Vilnius mayor Artūras Zuokas, where the project is presented at http://zuokas.lt/didzioji-vilniaus-sinagoga, with an organizational chart which includes heads of state and national politicians (former and current), Lithuanian members of parliament, a foundation of Jewish emigres from Lithuania, a world-famous architect, a well-known attorney, an honorary consul, the Lithuanian Ministries of Culture and Foreign Affairs, Zak’s architectural studio and several enterprises of the Vilnius city municipality, but no role assigned for the Lithuanian Jewish Community. Would this be possible if the Community had participated in the inception of this project, and Community leaders had expressed support for the project? The project proposals for the Great Synagogue memorial, as stated, were drafted by the munipality’s Vilniaus Planas agency under order from the Urban Development Department of the Vilnius municipality. The terms of reference define the goal for drafting proposals: “to perform the procedure of preparing architectural proposals for the Great Synagogue memorial according to the pre-project proposals of architect Tzila Zak.” In other words, the Vilnius city municipality paid for architectural and planning proposals, and most likely for earlier architectural and planning work, including the services of Tzila Zak. How much they paid, and whether it was justified, is, again, beyond our jurisdiction to decide. We think other institutions with the proper jurisdiction might be interested in taking a look.